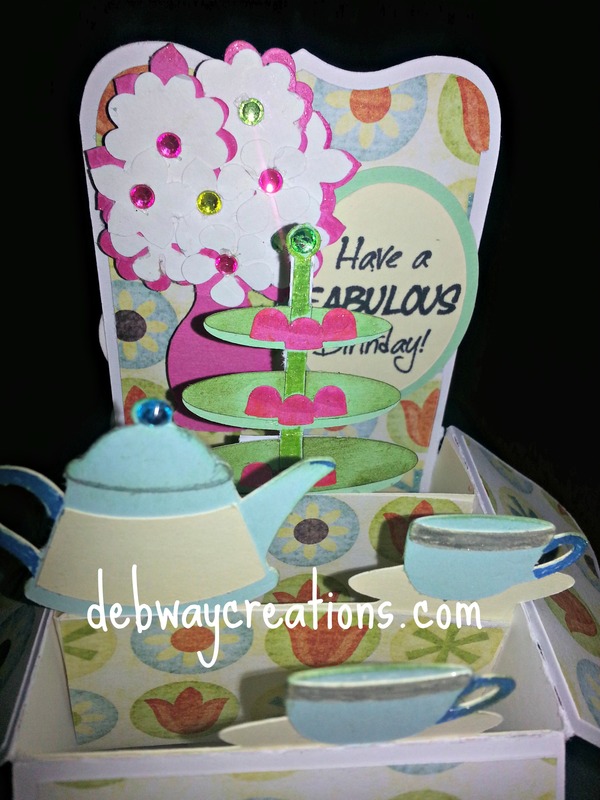 I made this SVG Cuts Tea Pot Box Card for my mom’s birthday. She is a huge coffee drinker so I consider the pot to be a coffee pot. LOL I used all the layers provided by SVG Cuts. The box takes a little time to assemble but once you make one of this type, it is easy. I find choosing the paper to be the hardest part of any card. I added some bling to the flowers–little gems I had in my stash. I also added some sparkle with Wink of Stella glitter pens. An envelope layer is provided but I think I might have one that it will fit. 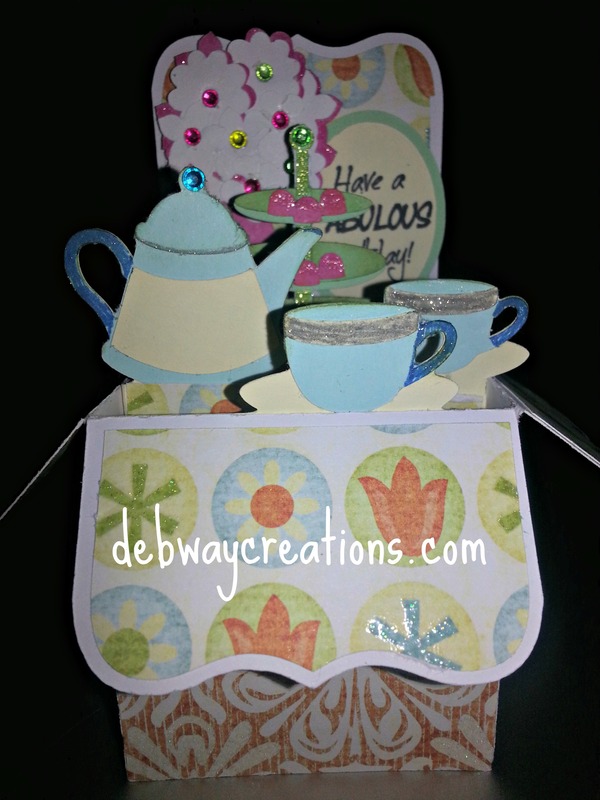 The finished card is a little bit larger–in height then the standard A2 card.